These days, the Gold Coast is bursting with loads of awesome creatives and entrepreneurs. So, it only makes sense that there are some pretty epic spots popping up to work from. From repurposed warehouses, office buildings and even shipping containers, there's a space in your local hood ready to cater to all of your creative wants and needs. Whether you’re building an empire or just want to be surrounded by a crew of like-minded biz builders, here are the best Gold Coast coworking spaces you need to know about. 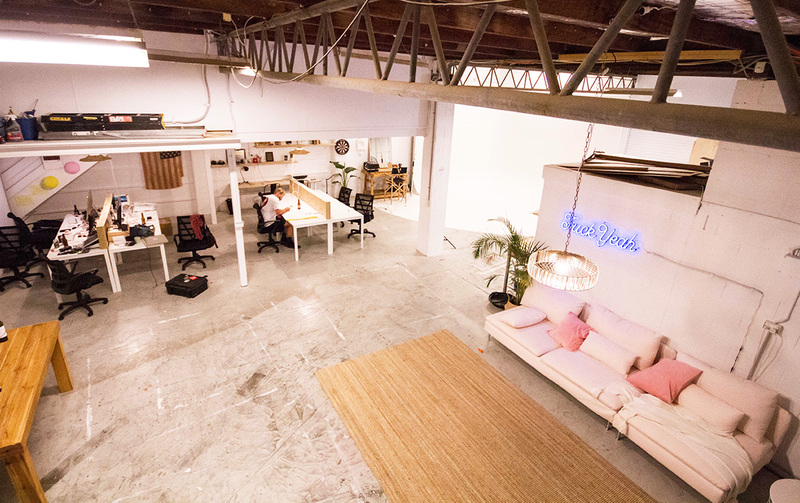 If you like your co-working space with a side of beach strolls, then New Wave is for you. The Mermaid newbie is located 50 metres from the ocean and is just down the road from Bam Bam Bakehouse so your lunch break can now consist of karaage chicken croissants and salted caramel eclairs topped off with a dip in the sea. New Wave, which boasts a cool, coastal vibe, has options for everyone. Rent a desk for $125 a week (includes 24/7 access in a secure building plus complimentary two hours of meeting room hire) or book one of the swanky private rooms. You can even rent a virtual office, where for just $44 a week you can use their services without even having to leave your own home. There’s also a kitchen, private phone booth rooms and a ping pong table to blow off steam. Sometimes you just want to hang out in a spot that doesn’t make you quiver with fear if you accidentally drop a pen. Sure, working in absolute silence can be good for productivity, but you can do that at your own place. The Communal House always has the tunes cranking and comes pre-packaged with people to bounce ideas off across their 12 desks. Friday arvo beers are also a given, because networking in Gold Coast coworking spaces is a whole lot easier after a pint or two. 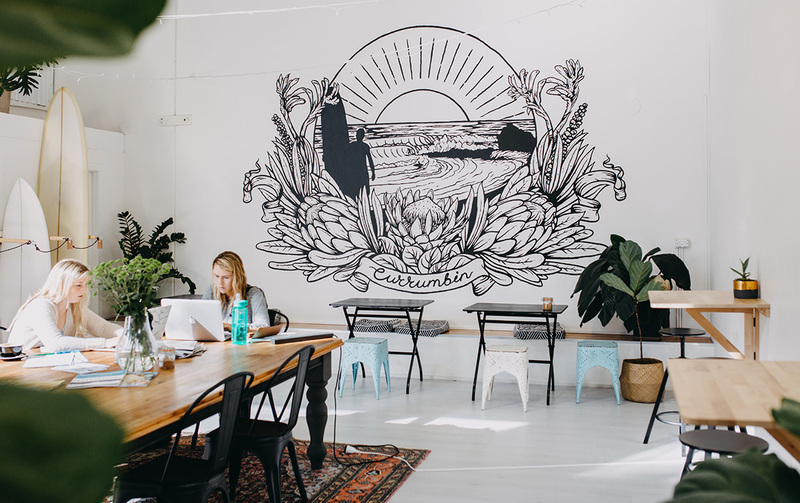 Suited specifically to the creative freelancer, The Communal House in Currumbin Waters offers a bright office space upstairs, a moodier room for video editing downstairs and a generous studio is available for hire to boot. Full time desks give you 24-hour access, unlimited internet use, a virtual mailing address, free printing and a bunch of other perks starting from $95 per week. 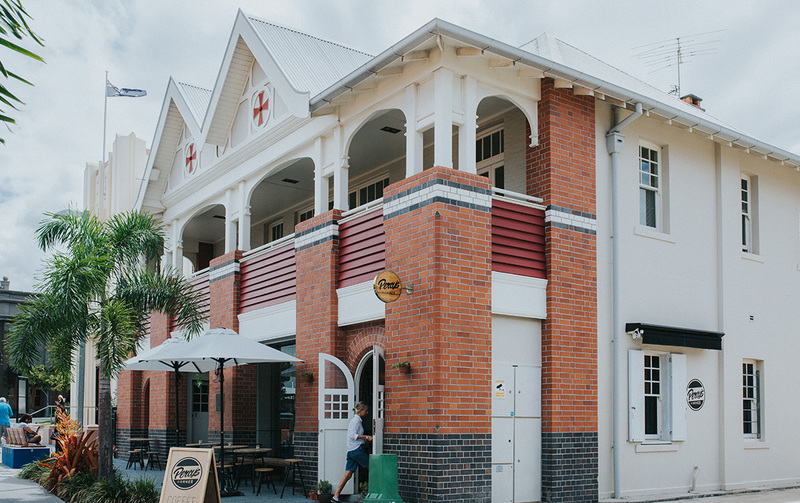 We all feel a little bit special when we walk into the historic ex-Southport ambulance station turned cafe and coworking hotspot CoSPACES. This little community has been growing since 2012 and now includes neighbouring building The Station, offers a huge space including over 100 co-working desks, five meeting rooms, larger rooms for private functions, event spaces and a photography studio. With Percy’s Corner cafe adjoining and Mr P.P.’s Rooftop Deli and Bar next door, what more do you need? Add in monthly whisky tastings, photography workshops, startup and mentoring workshops, trivia nights and networking events, and you may just pack your bags and move in full time. 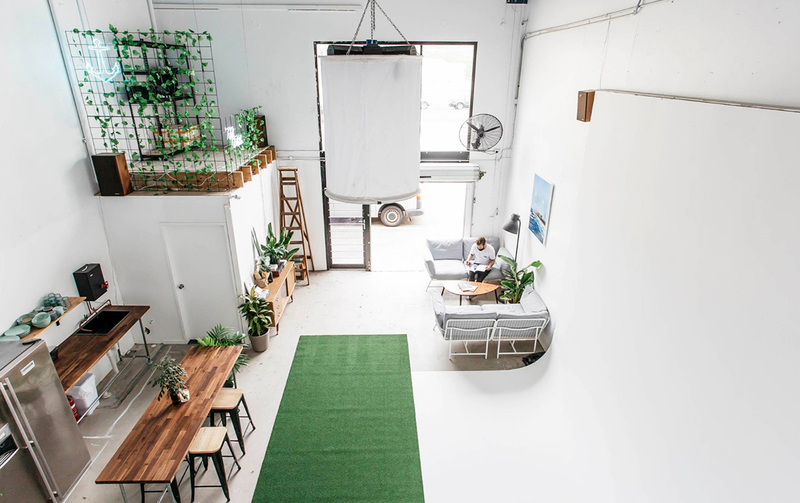 When Nicka (part of the Cambus Wallace crew) and his business partner started looking for a creative space to work from on the southern end of the Gold Coast, they quickly realised there really wasn’t one. Behold, the inception of Hotel Miami. Six months later, they found the perfect spot in the building ‘Hotel Miami’ (built in 1925) and fitted out the pad with a retro interior. Looking to attract like-minded designers, artists, photographers, videographers and more, Hotel Miami also offers a fully operational photography and video studio equipped with a bunch of lighting and microphone setups. Collaboration is at the heart of what Hotel Miami are doing and they’re not going anywhere anytime soon. Rent your hot desk from $29 per day, weekly for $119 or hire out air conditioned offices upstairs as you please. This is one of the most accommodating coworking spaces on the Gold Coast that’s suited to workshops, events and even hosting a monthly shindig, ‘First Fridays’, showcasing a selected local artist—for free! If you haven’t heard of Flockd, you will soon because they’re popping up all over the country. And now we’re lucky enough to have one of their epic coworking spaces here on the Gold Coast. Located in Burleigh Heads just a short stroll from James Street and the beach, they’re full of creative, innovative and idealistic professionals. Flockd offer loads of flexibility to cater for everyone’s business needs with hot desks for $40 a day to permanent digs available like the Drifter pass for $35 a day and Resident pass for $32. They even offer a free day pass, so you can test out the facilities. The space is full of light with a mixture of open plan desks and meeting spaces. There’s also chilled and sparkling water on tap, an in-house bar and happy hour daily. 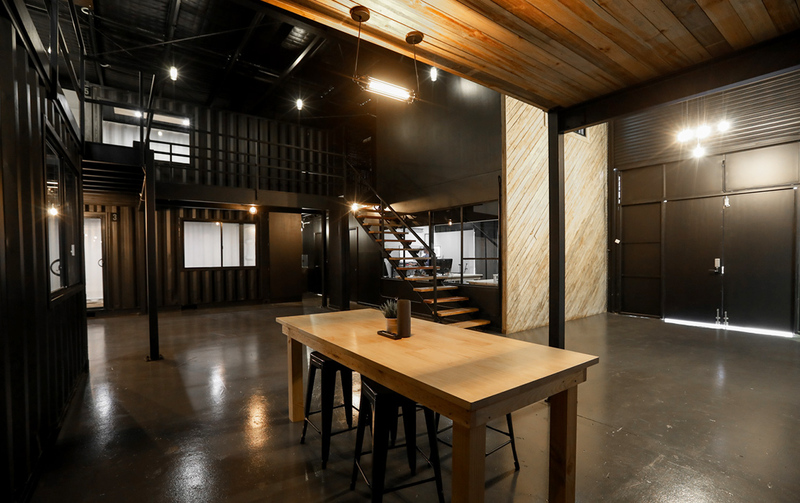 A converted warehouse with your very own personal barista? Yes please. Grab a stool at Refinery’s massive coworking table or nestle into a spot for one, host your next event or photo shoot in their combined cafe. Pulling a mixed crowd, Refinery has to be one of the airiest co-working spaces on the Gold Coast and with six-metre high ceilings, never feels crammed. The best part about Refinery’s coworking space is that it is completely free, although picking up your morning coffee, guzzling a smoothie and eating up acai bowls or toasties is smiled at—because all of that hard work is sure to make your tummy grumble. Need to host an interview or meeting? 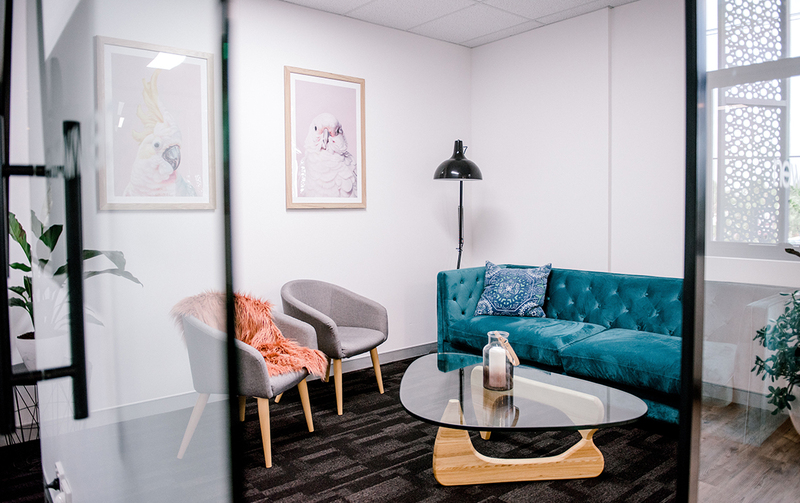 Their upstairs office is available from $25 per day, and includes a hot drink for four people so you can win over potential clients and customers with their fave drink. If permanency is where it is at for your business needs, then Gold Coast Creative House is for you. Already home to a bunch of stellar creatives, when a desk is snatched up here usually it’s not given back too quickly. Across six creative studios and two crisp levels, choose to collaborate or keep to yourself. And interestingly, four of the spots have been made from converted shipping containers. Slip through the custom steel sliding door and be immersed in one of the largest photography and film studios in Australia at Gold Coast Studio. Suited to creatives who are serious about making waves with their businesses, Gold Coast Creative House exclusively hosts permanent desks for stability and predictability in the workplace. Public relations gurus, website designers or sound mixers, these guys are looking for you! Get in quick because their available spaces won’t last long. Wifi as fast as the speed of light? Oh WOTSO, you have our hearts! A combination of soft seating spaces, phone booths and desks, Varsity Lakes’ favourite coworking space provides for an engaging yet practical place to knuckle down in. Creative furniture like meeting room tables made from data racks recycled from old servers adds to WOTSO’s quirky design. The driving force behind WOTSO is their 11 sites across Australia and soon to be international locations. This gives you perks like hot desking in other locations when you become a WOTSO member and they live with the belief that building the space you need is far more important that permanency. 24/7 access is given in exchange for monthly membership and you’ll also have access to meeting rooms, printing facilities and social events with fellow office space sharers. Looking for a little more privacy? Take up one of the furnished offices. There’s no set persona or profile for the type of person who coworks at WOTSO so come one, come all! Looking for somewhere awesome to throw your next event? Check out these rad private spaces for hire.